the day of the shoot it is important to relax. horses pick up on your mood and the more relaxed you are, the more relaxed your horse will be. i’m very patient and know that every horse is different, so don't stress about whether or not your horse will behave. most shoots are about two hours, but I always let the horse’s mood determine that. you know your horse best, so you will also know when it’s time to stop. where we take pictures of your horse is entirely up to you. if you prefer to stay at your barn (most common option) or if you prefer to trailer to a scenic location, i am flexible. sending a few snaps taken with your mobile phone of the location you have in mind will be very helpful. ⋙you interacting with your horse. 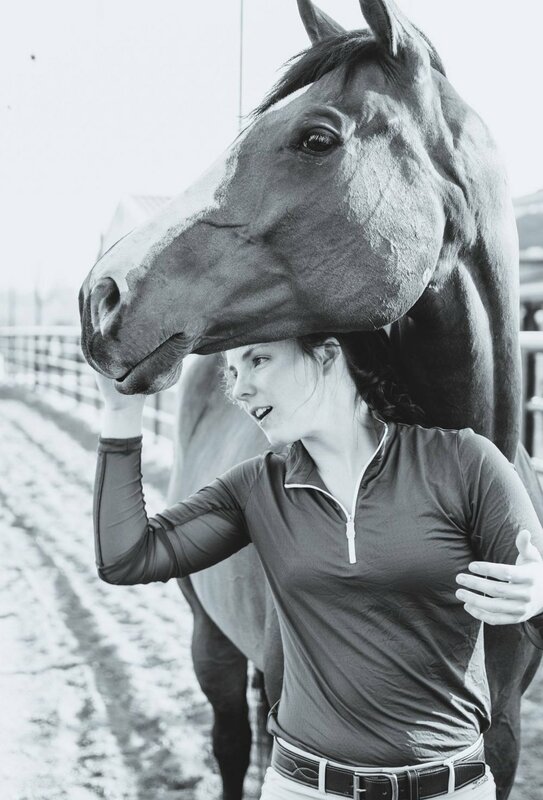 up close/ intimate pictures of you hugging, petting, walking with, and loving on your horse. ⋙conformation portraits of your horse. depending on location, i usually do these with a dark or uniform background. standing them in the barn entrance, in front of a solid colored wall, or in a field with a nice background. ⋙your horse in action in a field, arena, or round pen. get them on a long line and lunge them. i will edit out the rope and capture your horse in motion. ⋙your horse should be well groomed to your standards in your discipline. a shiny coat always looks best for photos and there are many products to help achieve this for picture day. ⋙tack needs to be clean and simple. clean bridle or leather halter works best. if you want to use a nylon halter, use a black or brown color. "check out these blogs to help you prep for your session"
suggestions when it comes to picking out outfits for your session. a few tips and tricks for preparing hair/makeup for your session.